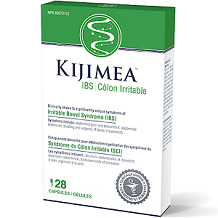 In this review, we are focusing on a product called Kijimea IBS, a product claimed by the manufacturer to manage and improve the associated symptoms of IBS and other gastric problems. This product only contains one active ingredient, namely 15 billion CFU (colony-forming units) of B. bifidum MIMBb75 strain. This compound is a bacteria and probiotic that has been suggested to improve the health of your gut as it is supposed to restore the bacterial balance in your intestines. It lacks key ingredients that are found in competitor products such as Aloe Vera and Fennel Oil, which can provide relief from IBS. According to the available product information, this supplement should be administered under medical supervision. Adults should take two capsules daily with meals and water. It is suggested that the use of this supplement should last for four weeks total or as needed. The manufacturer does not specify a preferred time of day that you should take the product to get the best results. Consult with your physician before using this supplement. According to the available product information, this supplement should be administered under medical supervision. This product is only available for purchase via third party vendors including Amazon. If you purchase it from Amazon you can buy it for $19.90 for 14 capsules, and $49.90 for 56 capsules. The manufacturer offers a discount coupon but the amount was not specified. There are no discounts for bulk buyers or further incentives for new customers. There is no manufacturer’s guarantee or return policy for this product. We found some encouraging aspects to this product. It contains a probiotic ingredient that can be helpful to provide relief from IBS. There is a discount coupon for first time orders. We do have several concerns however. We did not like that the manufacturer left out the volumes of its inactive ingredients that could be harmful if consumed in improper quantities. It lacks key ingredients that are found in competitor products such as Aloe Vera and Fennel Oil. These competitor products may prove more effective. This product lacks a satisfaction guarantee. There are no discounts for bulk buyers or further incentives for new customers. Pricewise, this is not a well priced product considering it costs $19.90 for 14 capsules. Shipping is an extra cost and is unspecified. The discount coupon does not specify what the actual discount is. The manufacturer fails to provide information about specific warnings or side effects when using this product. In terms of dosage, the manufacturer did not specify a preferred time of day that you should take the product to get the best results. There is no assurance from the manufacturer that the ingredients in this product are non GMO, or that the product is made in an FDA certified facility, or that the product is free from binders or fillers. 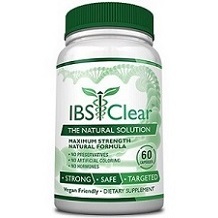 For all these reasons we suggest that you look elsewhere for an IBS supplement.